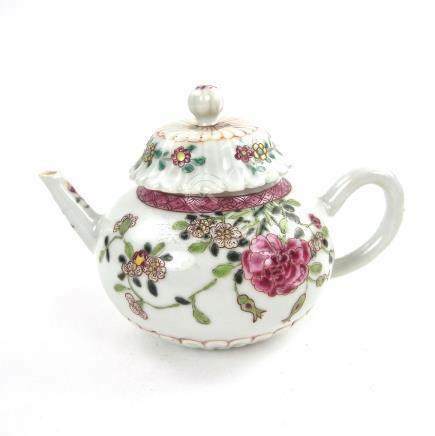 198: A Chinese famille rose porcelain teapot, 18th century, Qianlong period. 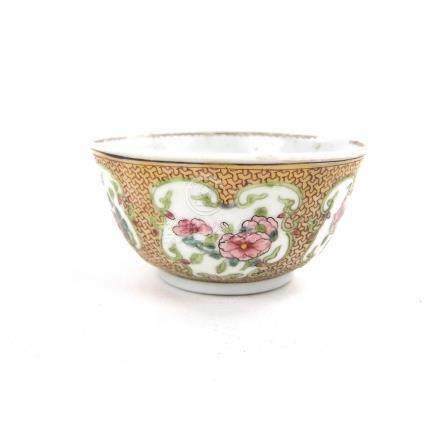 200: A Chinese export famille rose porcelain teacup, 18th century. 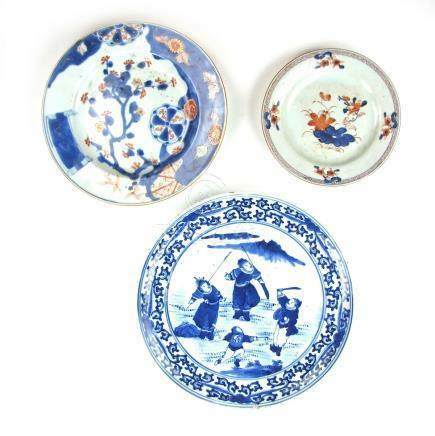 201: Three Chinese porcelain plates, 18th/19th century. 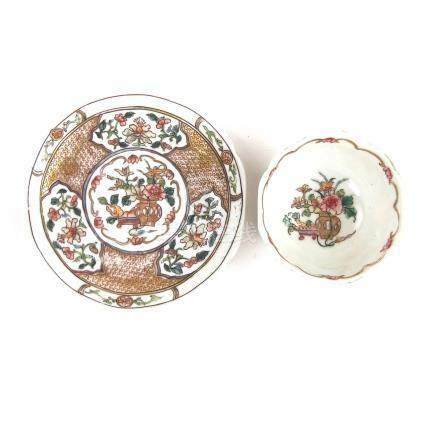 203: A group of three Chinese export famille rose porcelain objects, 18th/19th century. 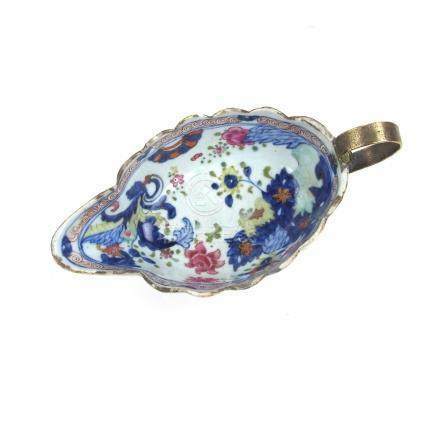 204: A Chinese export porcelain tobacco leaf pattern sauce boat, Qianlong period (1736 - 1795). 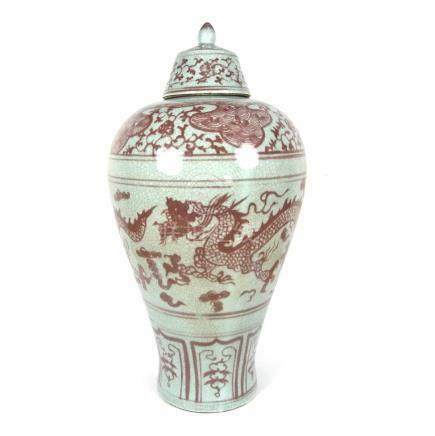 205: A large Chinese celadon famille rose vase, 19th century. 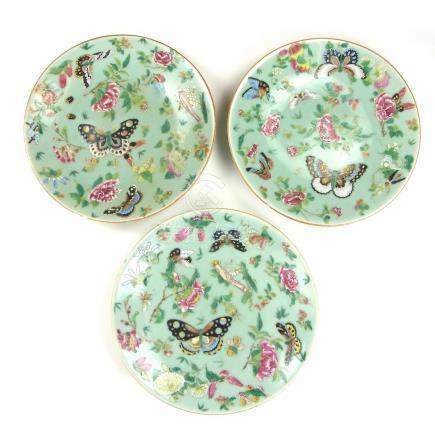 206: Three Chinese famille rose plates, 19th century. 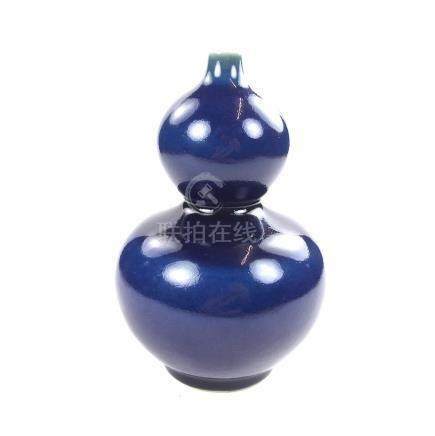 207: A Chinese blue monochrome double gourd vase, 20th century. 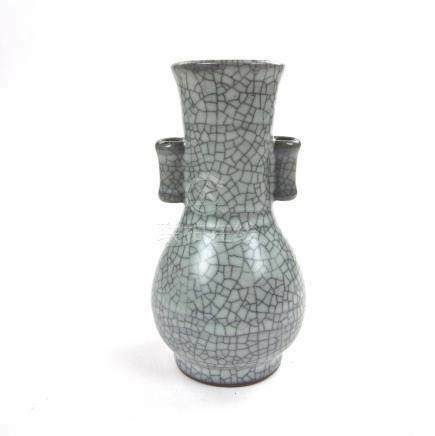 208: A Chinese Song dynasty guan ware style arrow vase, 20th century. 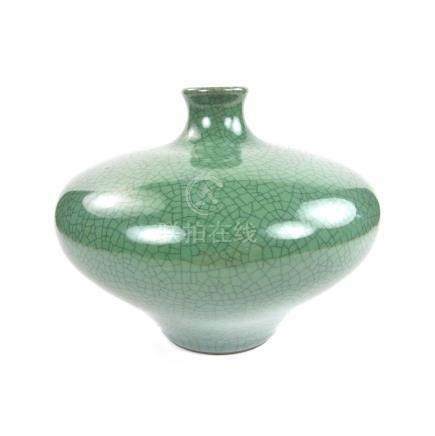 209: A Chinese Song dynasty guan ware style vase, 20th century. 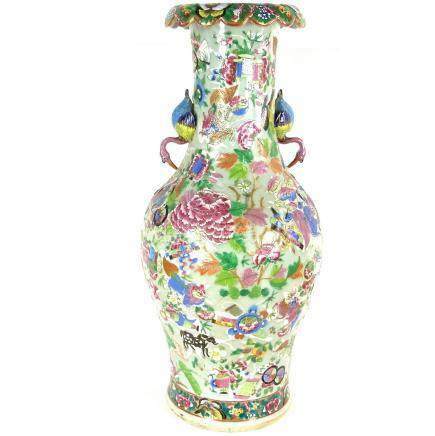 210: A Chinese peach blossom glazed vase, possibly late 19th/early 20th century. 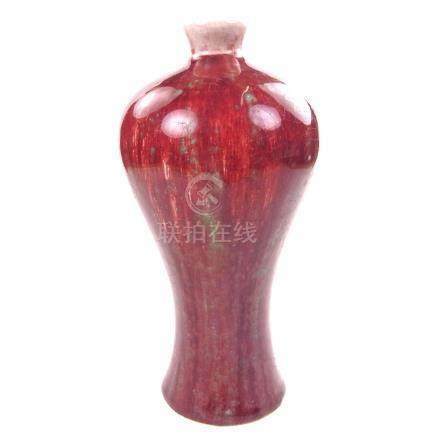 Of meiping form. 7. 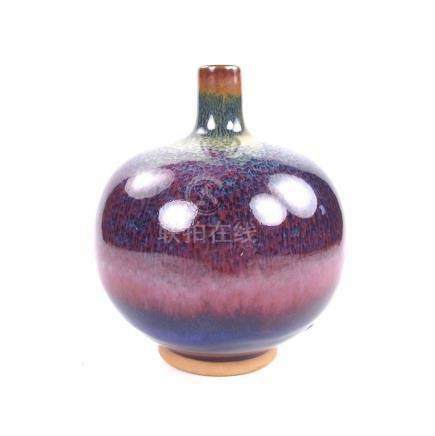 211: A Chinese polychrome glazed vase, 20th century. 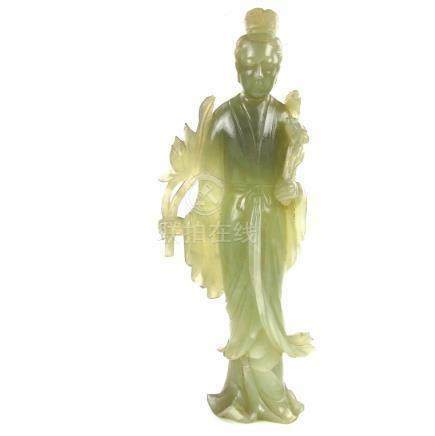 212: A large Chinese carved jade figure of Guanyin. 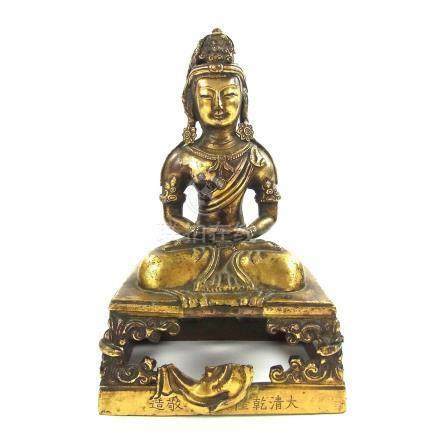 215: A Chinese gilt bronze figure of Amitayus Buddha, 18th century. 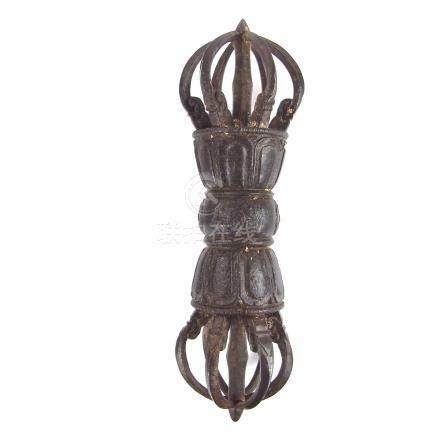 216: A Tibetan Buddhist iron thunderbolt vajra, Tibet, 18th century or earlier. 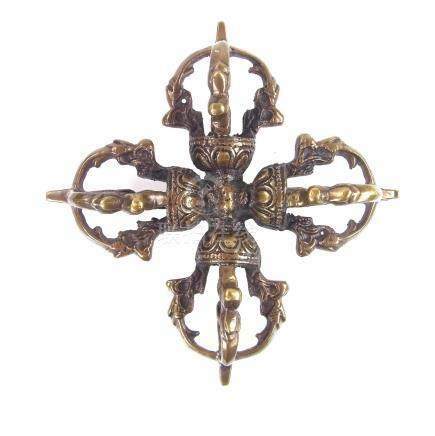 218: A brass and copper double dorje thunderbolt vajra, probably Nepalese / Tibetan, 19th century. 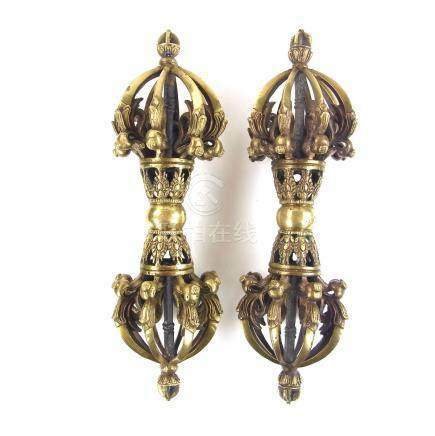 219: Two brass thunderbolt vajras, probably 20th century. 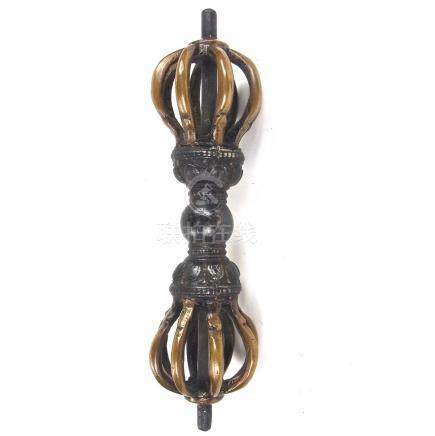 220: An iron and copper thunderbolt vajra, Tibet/Nepal, probably 19th century or earlier. 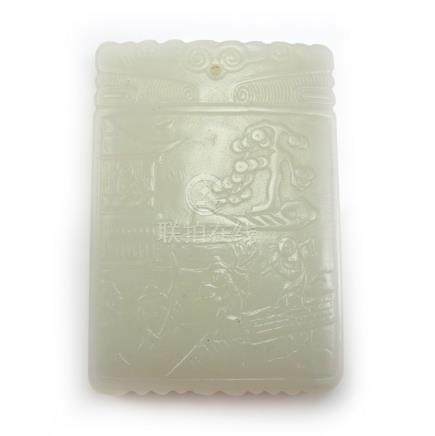 221: A Chinese white jade pendant plaque. 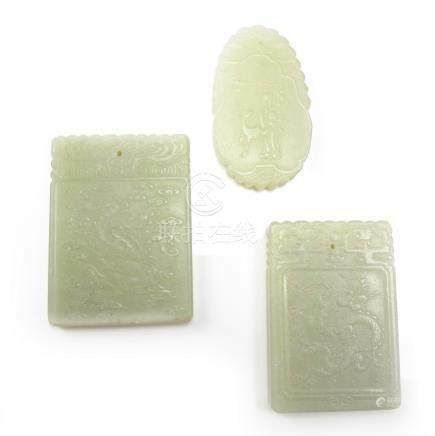 222: A group of three Chinese celadon jade pendant plaques. 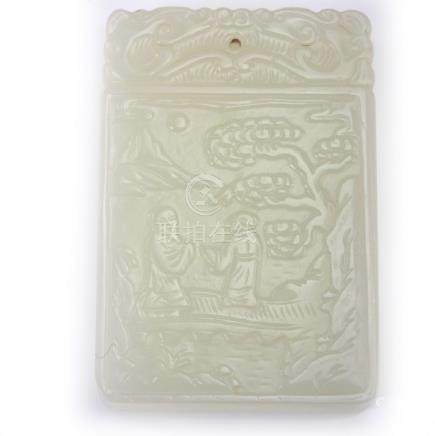 223: A Chinese white jade pendant plaque. 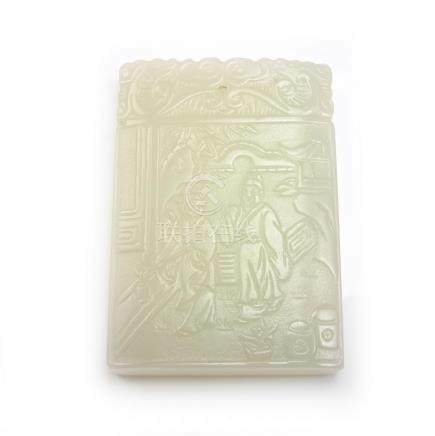 224: A Chinese white jade pendant plaque. 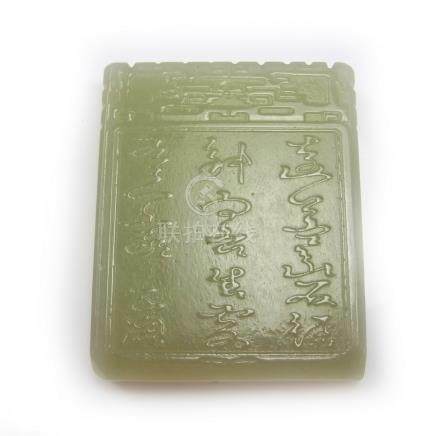 225: A Chinese celadon jade pendant plaque. 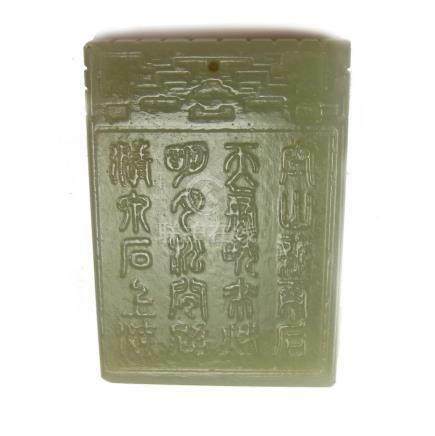 226: A Chinese celadon jade pendant plaque. 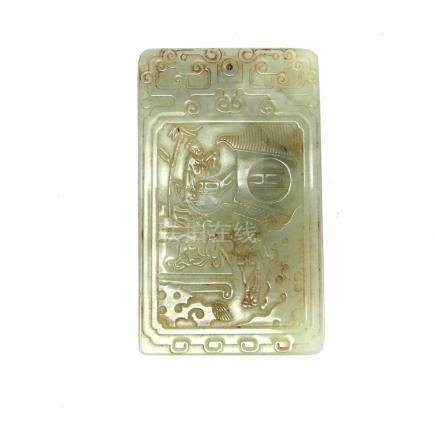 227: A Chinese celadon jade pendant plaque, 20th century. 228: A large Chinese ceramic lamp and shade, 20th century. 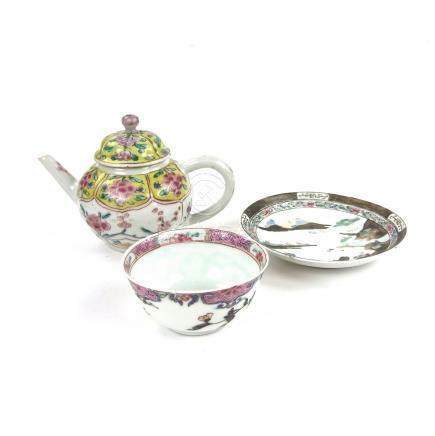 230: A pair of Chinese white metal tea caddies. 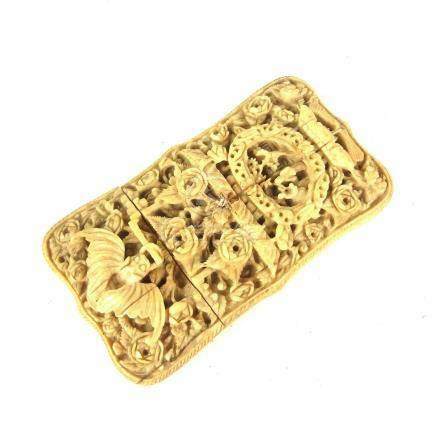 231: A Chinese ivory card case, Cantonese, 19th century. 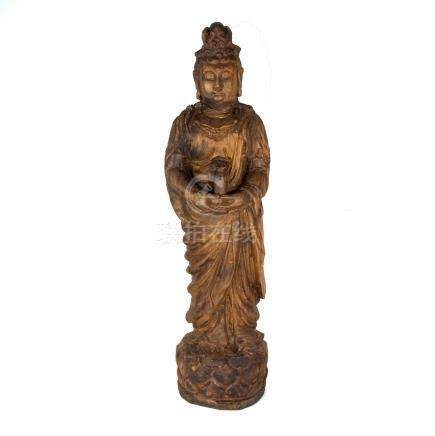 232: A large Chinese carved wood figure of Guanyin. 36.2 in (92 cm) height. 233: Three Chinese watercolours, 19th/early 20th century. 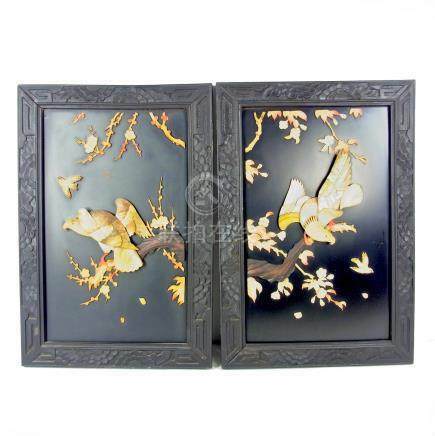 234: A pair of Chinese lacquered decorative panels. 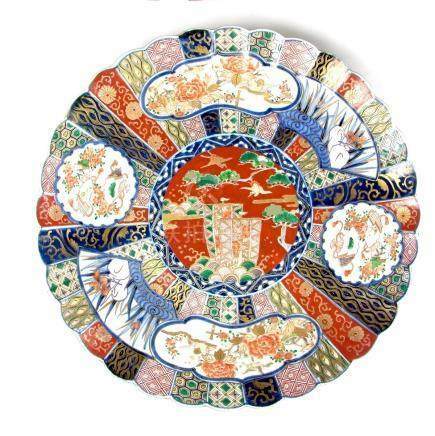 235: A large Japanese Imari charger, Meiji period (1868 - 1912). 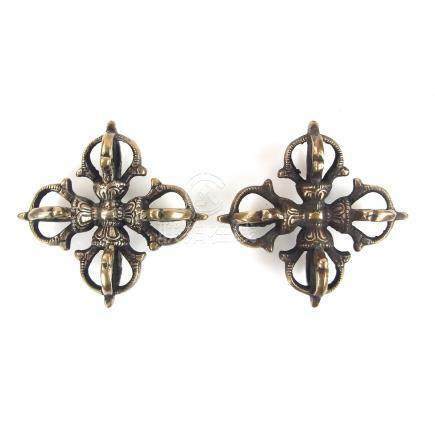 Of circular, scalloped form. 16. 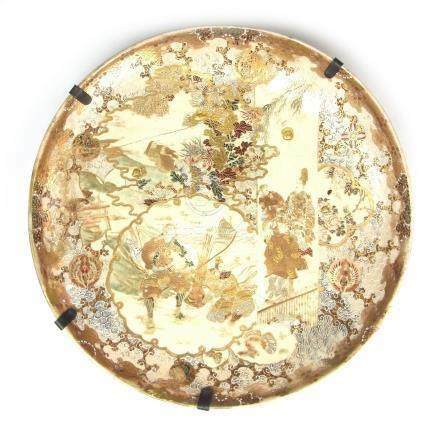 236: A large Japanese Satsuma charger, Meiji period (1868 - 1912). 16.3 in (41.5 cm) diameter. 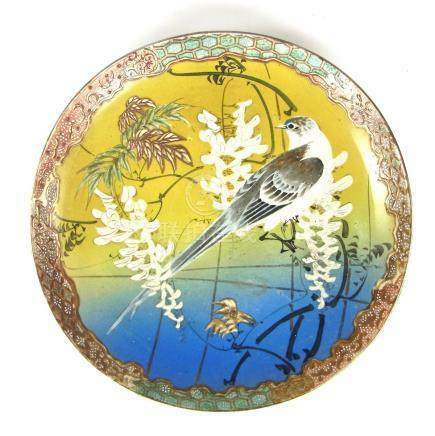 237: A Japanese porcelain charger, early 20th century. 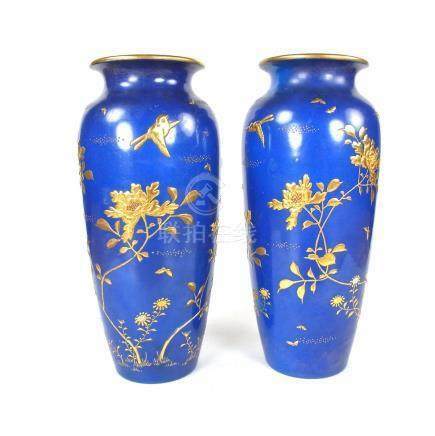 238: A pair of Japanese vases, Meiji period (1868 - 1912). 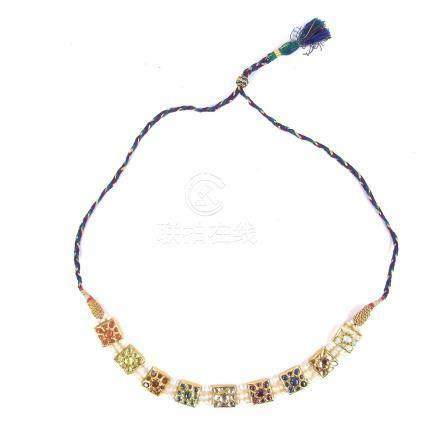 239: A Mughal style yellow gold multi-gem Navaratna Indian necklace. Grand Auctions carries on business with bidders, buyers and all those present in the auction room prior to or in connection with a sale on the following General Conditions and on such other terms, conditions and notices as may be referred to herein. These conditions of Sale and Business constitute the contract between Grand Auctions (The Auctioneer) and the seller on the one hand and the buyer on the other. By bidding at the auction you agree to these terms. The buyer shall pay the hammer price together with a premium thereon of 20%. This premium is subject to VAT at the rate imposed by law. 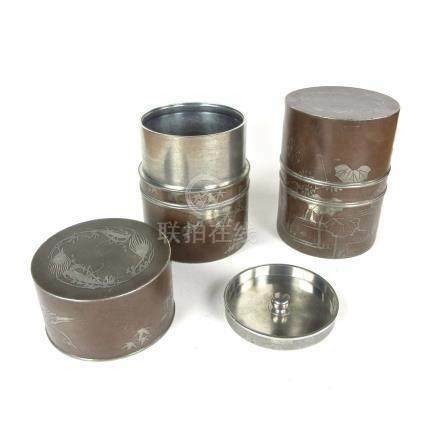 Value Added Tax on the hammer price and the buyer’s premium is imposed by law on all items affixed with an asterisk or double asterisk. Value Added Tax is charged at the appropriate rate prevailing by law at the date of sale and is payable by buyers of relevant Lots. Lots imported from outside the EU and certain lots owned by businesses are marked ** and full VAT is payable on the Hammer Price and Buyer’s Premium. Certain lots imported at a preferential rate are marked * and VAT is payable currently at 5% on the Hammer Price and Buyer’s Premium. From 14th February 2006 all UK art market professionals are required to collect a royalty payment for all works of art that have been produced by living artists. This payment is only calculated on qualifying works of art, which are sold for a hammer price more than the UK sterling equivalent of EURO 1,000 – the UK sterling equivalent will fluctuate in line with prevailing exchange rates. It is entirely the responsibility of the buyer to acquaint himself with the precise EURO to UK Sterling exchange rate on the day of the sale in this regard, and the auctioneer accepts no responsibility whatsoever if the qualifying rate is different to the rate indicated. All items in the catalogue that are marked with AR are potentially qualifying items, and the royalty charge will be applied if the hammer price achieved is more than the UK sterling equivalent of EURO 1,000. The royalty charge will be added to all relevant buyers’ invoices, and must be paid before items can be cleared. All royalty charges are passed on to the Design and Artists Copyright Society (‘DAGS’), no handling costs or additional fees with respect ro these charges will be retained by the auctioneers. The royalty charge that will be applied to qualifying items which achieve a hammer price of more than the UK sterling equivalent of EURO 1,000, but less than the UK sterling, equivalent of EURO 50,000 is 4%. For qualifying items that sell for more than the UK sterling equivalent of EURO 50,000 a sliding scale of royalty charges will apply – for a complete list of the royalty charges and threshold levels, please see www.dacs.org.uk. 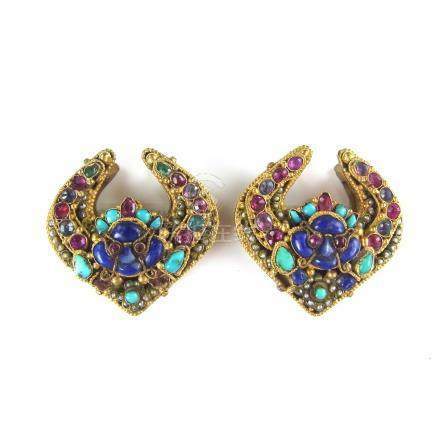 there is no VAT payable on this royalty charge. (b) pay to us the total amount due in such other way as is agreed by us. (d) to remove, store and insure the Lot at your expense and, in the case of storage, either at our premises or elsewhere; if that proves impractical, Grand Auctions reserves the right to sell the lot by private treaty or auction without reserve. Any funds raised will be returned to the buyer less Grand Auctions’ expenses and charges; if any surplus is raised, it shall belong to the vendor. 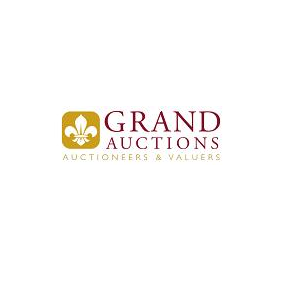 Grand Auctions will remit the proceeds of the sale to the vendor 28 working days after the date of the sale provided that Grand Auctions has received the total amount due from the buyer. 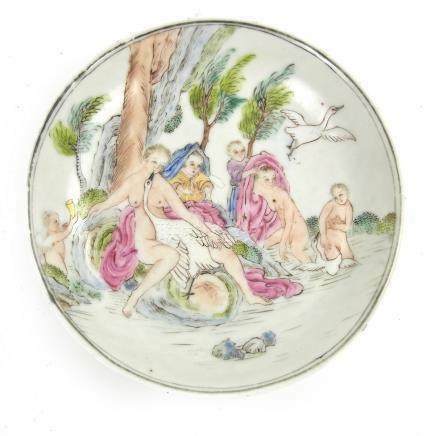 Whilst prospective buyers are strongly advised to attend the auction and are always responsible for any decision to bid for a particular Lot and shall be assumed to have carefully inspected and satisfied themselves as to its condition we will if so instructed clearly and in writing execute bids on their behalf or by telephone. Neither the auctioneer nor our employees or agents shall be responsible for any failure to do so save where such failure is unreasonable. Where two or more commission bids at the same level are recorded we reserve the right in our absolute discretion to prefer the first bid so made. The seller acknowledges that Lots are sold subject to the stipulations of these Conditions in their entirety and on the Terms of Sale on the consignment form as notified to the consignor at the time of the entry of the Lot.